This map, which was published in April of 1957, was part of a coordinated effort on the part of the licensees of clear-channel AM stations around the country to demonstrate their continued relevance, during the first post-war push to eliminate that service. 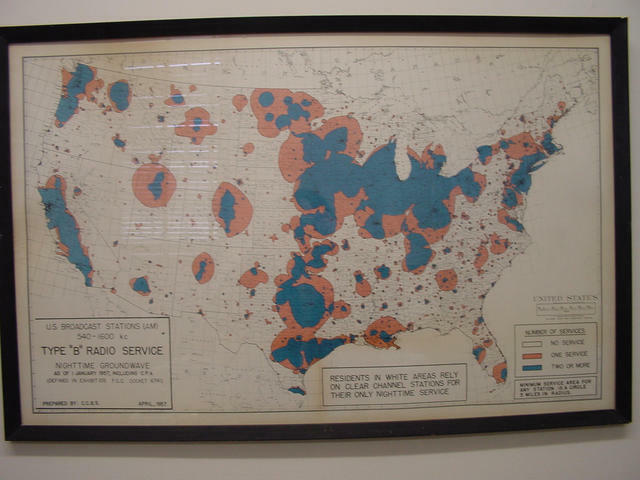 The ``white areas'' shown on the map received no night-time AM radio service. The map is hanging on the wall of Watt's office.